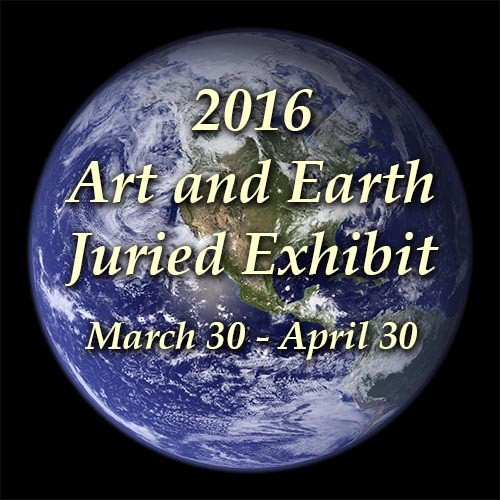 The Berkeley Arts Council announces the Sixth Annual Art and Earth Juried Art Exhibit. The exhibit, which is produced by the Berkeley Arts Council, has the theme “Art and Earth: My Art – My World”. Art works reflect the artist’s view of nature, the environment, or reflect an Earth Day related theme. The exhibit will be on display at the Berkeley Art Works gallery, 116 North Queen Street in Martinsburg, WV from March 30 – April 30, 2016. The juror for the 2016 exhibit is Dr. Douglas Kinnett former Coordinator of the Art Education Major at Shepherd University in Shepherdstown, WV. Dr. Kinnett selected 47 works by 35 artists from 14 states. 154 works were submitted. The full list of accepted artists is on the web at artworks.berkeleyartswv.org/artandearth/. The public is invited for the opening reception, Saturday, April 9 from 4-6 pm at The Berkeley Art Works, 116 North Queen Street, Martinsburg, WV. Juror Doug Kinnett will be on hand and will present a talk about his development of “Crit Groups” to help artists develop. Gallery hours starting March 30 are Wed 11-5, Thu 11-5, Fri 11-8, Sat 10-5, and Sun 12-3.